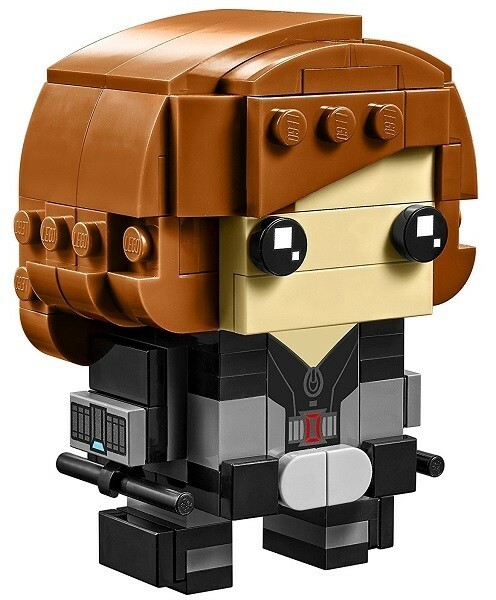 LEGO BrickHeadz construction characters bring you a brand new way to collect, build and display iconic characters from your favorite movies, TV series, games and comics. 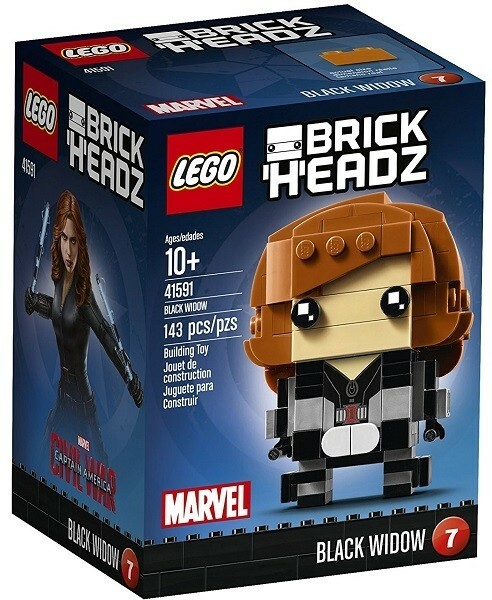 This Black Widow BrickHeadz construction character is fun to build using LEGO System bricks that recreate all of her iconic details, including black costume with belt and red buckle decoration, and buildable hair! 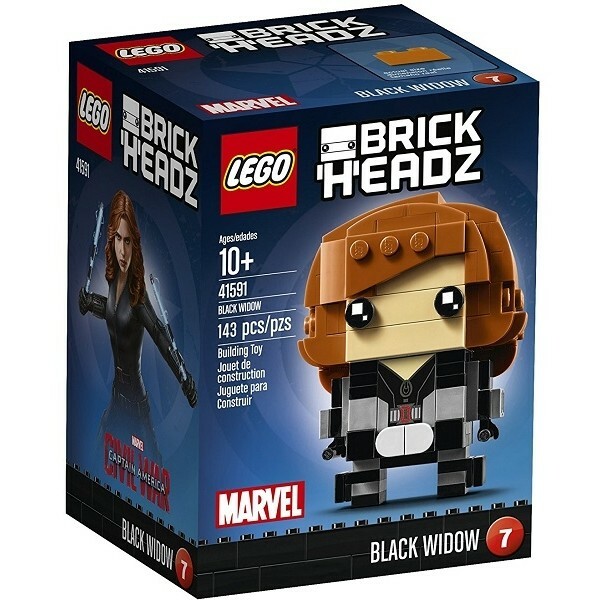 She also comes with two detachable batons and stands on a baseplate with series number and BrickHeadz icon for easy display. For more fun building sets, visit our LEGO Collection. For more products featuring Marvel characters, visit our Marvel Comics Collection.